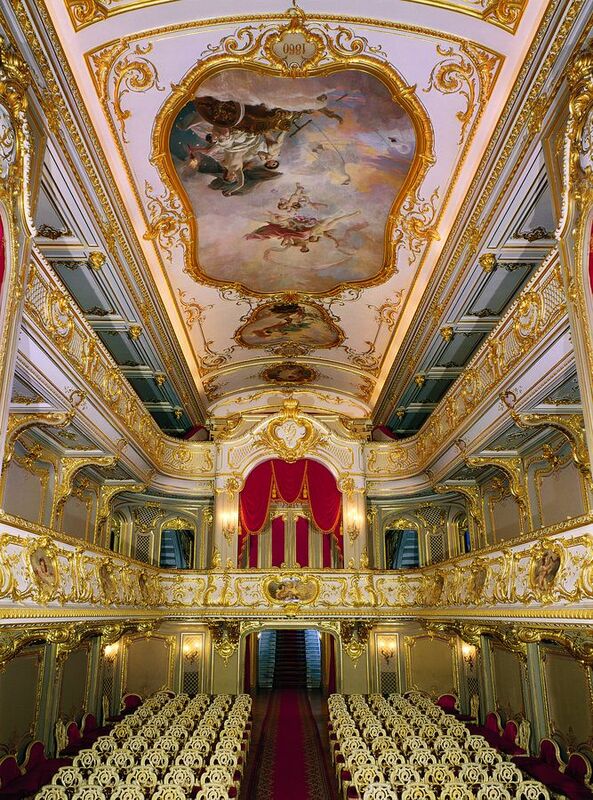 The Yusupov Palace invites you to see performances on the stage of the unique Home Theater of the Princes Yusupov. The life of St. Petersburg upper echelons of the aristocracy always revolved around home theaters. Music salons and theatrical performances hosted by the Yusupovs gathered prominent high-ranking guests, including members of the Russian royal family. The unique Theater that used to attract so many iconic figures in the past was established in the 19th century and has survived to our days. Pauline Viardot, Franz Liszt, Feodor Chaliapin and Anna Pavlova, orchestras under the baton of Mikhail Glinka, Yuriy Temirkanov, soloists of the Mariinsky and Mikhailovsky theaters performed on its stage. 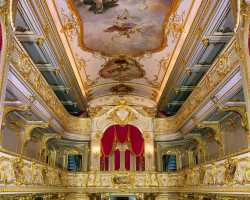 Currently, the Home Theater of the Yusupov Palace offers an extensive and frequently updated program. Visit the Theater to see classical operas and sparkling operettas, scenes from Russian ballets and performances for children. We are looking forward to welcoming you in the Home Theater of the Princes Yusupov! To see the playbill and get more information about performances, visit our official web site. Tickets can be purchased at the Yusupov Palace ticket offices, on our official website (in the "Buy tickets" section) and at the city ticket offices.